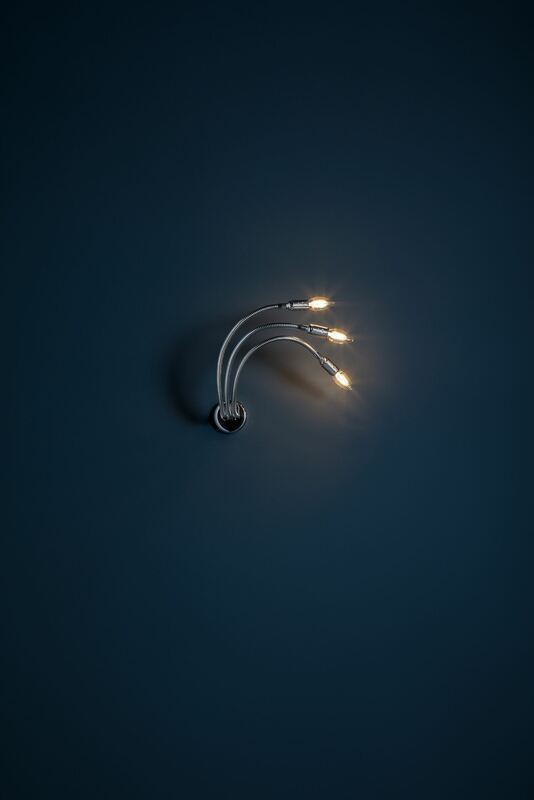 The starting point for the design of this group of lamps, created by Enrico Franzolini and Vicente Garcia Jimenez, was the aesthetic expression of light splintering off titanium walls. •	semi-gloss painted metal in a choice of red (RAL 3003), white or the new black finish; transparent gloss painted and natural satin finish aluminium; matt transparent painted burnished and brushed brass. 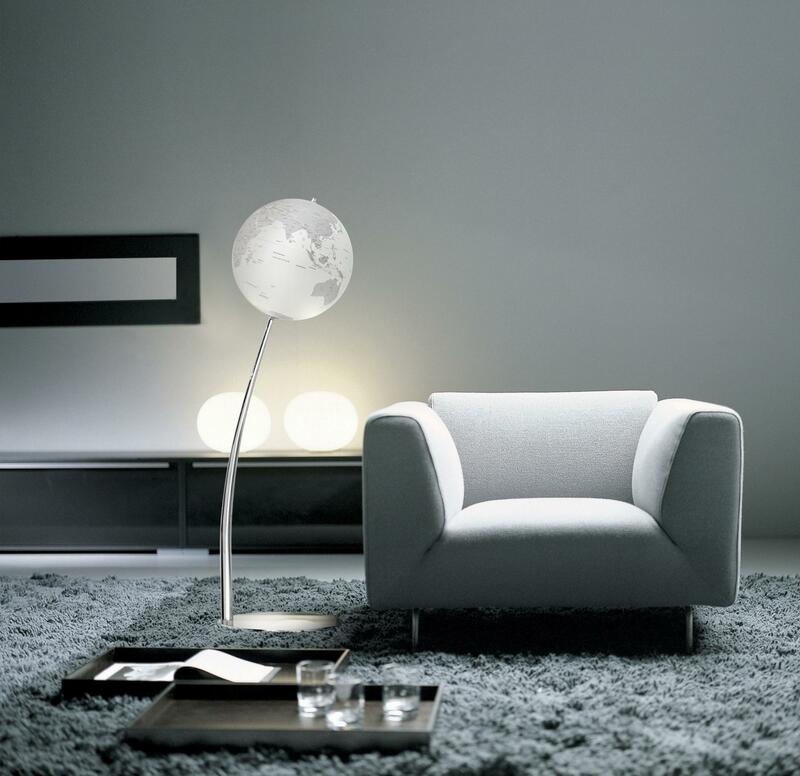 For the floor versions, both the stem and base can be made from polished chromed steel or painted in a semi-gloss anthracite colour or red. 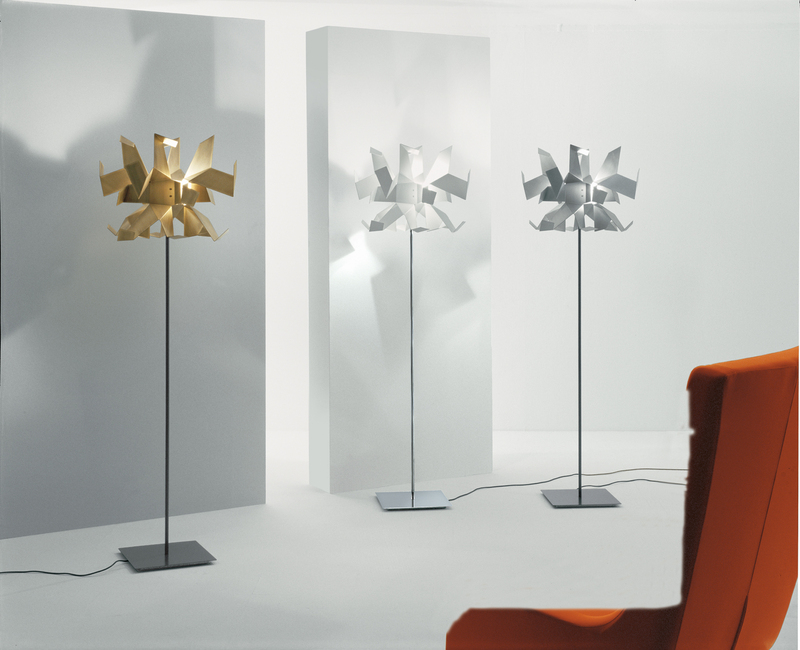 Lamps with a white shade are teamed with a polished chrome stem and base, whilst an anthracite colour is used with the other finishes. 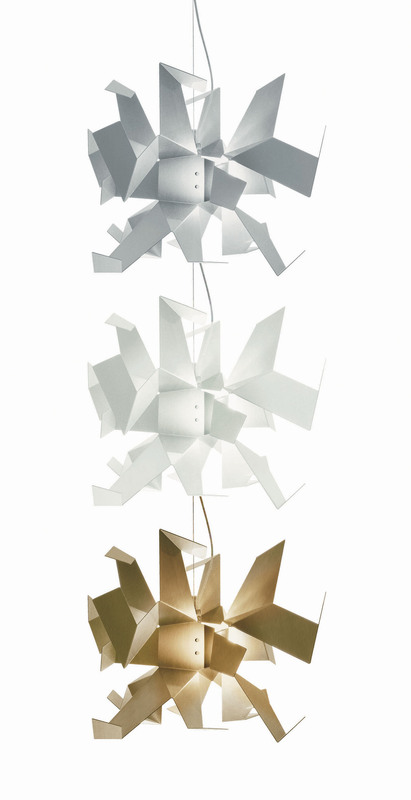 Pendants can be combined in horizontal or vertical modules. In the horizontal version, between 1 and 4 light fittings can be attached to a polished chromed steel bar. 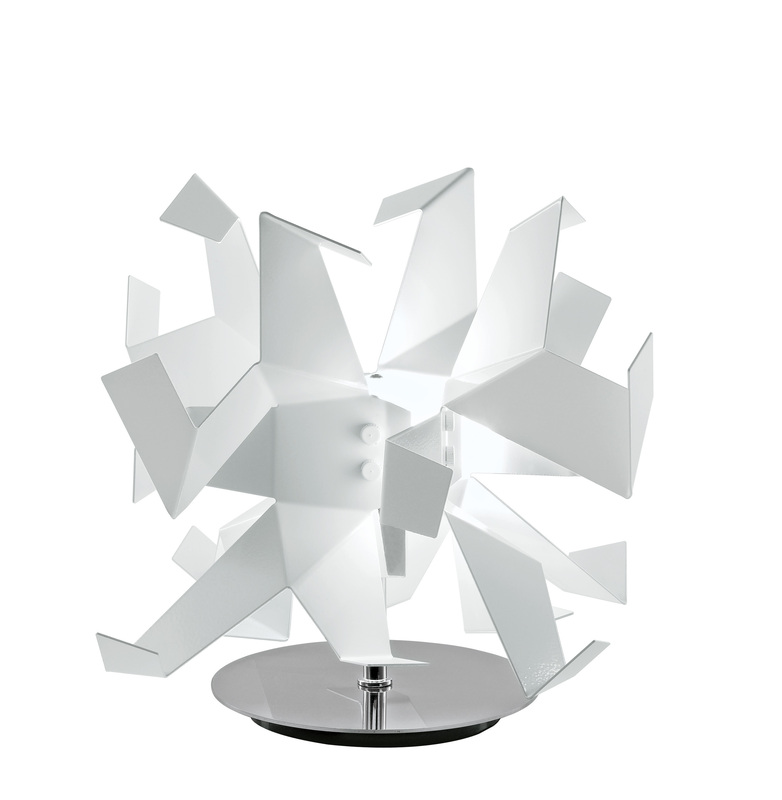 The vertical version instead features a double polished chromed steel bar designed to accommodate 2 or 3 light fittings.